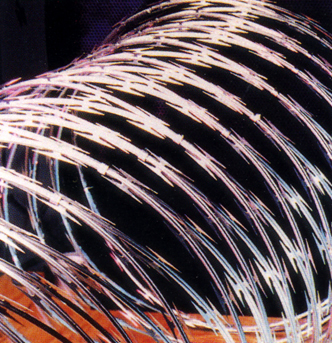 FROM INDUSTRIAL TO ULTRA MAXIMUM SECURITY PERIMETERS, Allied Security Fence has the correct combination of barbed tape products. With more than 20 years experience, Allied Security Fence can be relied upon to provide the service and expertise needed for your security requirements. Beginning with the design and specification stage, through fabricating the highest quality barbed tape obstacles, to training crews and supervising job-site installation, and ensuring a proper final inspection, we provide unequalled value in product quality and professional services. These barbed tape obstacles are the most highly rated anti-intrusion security barriers with extensive application in correctional institutions (penitentiaries) and Government facilities. Combine both INSTABARRIER and DETAINER HOOK BARB barbed tapes within the same installation for MAXIMUM FORCE PROTECTION.